The first to come to town is the Gang, headed by the WItch. The Gang is ambushed, resulting in the death of 5 girls and the capture of two robbers. 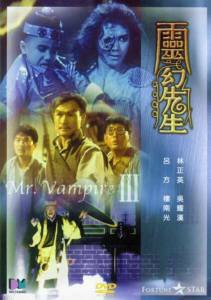 The next to come to town is the Taoist Conman with his ghost of a cousin, the Imp. The police chief orders him out. As there is reward over the robber's head, the Conman tried to kidnap them but is foiled. The police chief has a rough time with the Imp. So he asks his teacher the Priest for help. The Priest Imprisons the Imp but releases him later.